Over the last several weeks, I have posted several responses to the essays being posted by the Nazarenes Exploring Evolution website. According to this site, those behind it seem concerned about the wide disparity between Nazarenes in the pews and Nazarenes serving as educators and scholars. The clear implication from this site, and the essays posted on it, is that those who have had the opportunity to receive more education have been able to come to a proper understanding of Scripture and science which, they say, points to accepting Theistic Evolution instead of the Biblical narrative of creation. A recent study posited at the American Sociological Association seems to present a different perspective on the role of education as it involves one’s acceptance or mistrust of the scientific community. While the study was not focused on religion, evolution or beliefs, but rather on the three political views (Liberal, Moderate and Conservative) and how these three have viewed science over the last 40 years. 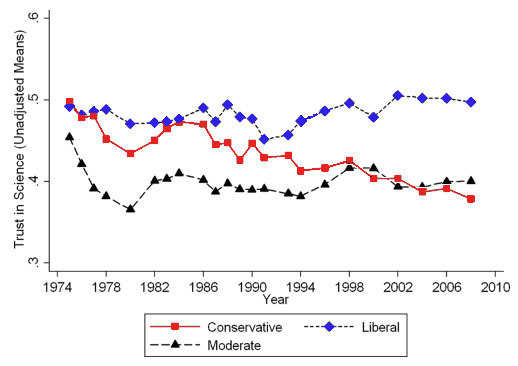 According to this study, Liberal’s and Moderate’s trust in science has remained essentially unchanged since 1974 (the start of the study period) while Conservative’s trust in science has plummeted over the last 25-30 years. What is more telling about this distrust of science among Conservatives is not so much the plummet, but that it is mainly among Conservatives who are more educated, holding either bachelor or graduate degrees, including a significant enough amount of church-goers to be referred to in the study. Liberal commentators such as found at Mother Jones suggest that it is the “Conservative elites” who have led the way to this mistrust of science with “rank-and-file” Conservatives blindly following along. I’m not certain this study supports that conclusion, but rather that Conservatives are becoming more educated and therefore trusting the modern science establishment less. Coupled with this, it could also be that educated Conservatives are trusted more than the science establishment, causing the rank-and-file to accept and adopt their views. Whatever the explanation for the growing mistrust which Conservative church-goers hold toward science, I think this study reveals that the premise held by those involved with the Nazarenes Exploring Evolution site is faulty, that it is not that the uneducated laymen in the pew need to be brought up to speed with modern science. 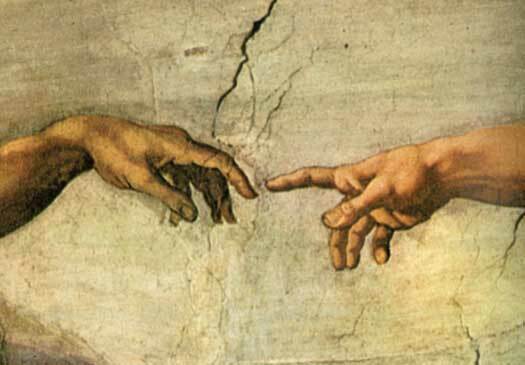 I think they fail to recognize (or admit) that it is more likely that educated Nazarenes are studying science and finding it lacking in convincing arguments sufficient enough to merit their reinterpretation of Scripture to deny the ability of God to create as Genesis describes and communicate that process to the ancient writers of Scripture.